I’m a very visual person — it’s generally hard for me to talk and write about something that I can’t see or read. I don’t usually write about music, the taste of food or drink, or other non-visual stuff. 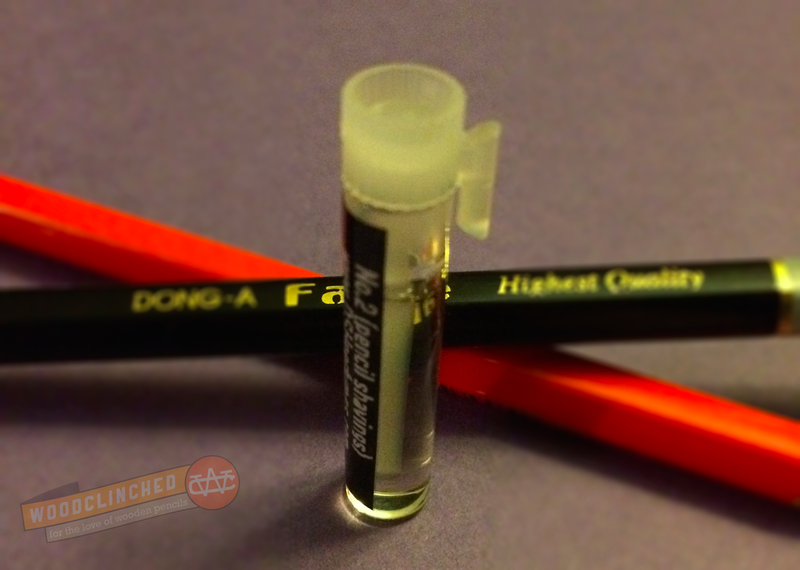 That’s why I never thought I’d be writing about a scent — especially on a pencil blog. One of our amazing Erasable listeners and Facebook group members, Mica Thomas*, sent Johnny and me some samples of a perfume her friend, Dawn Spencer Hurwitz of DSH Perfumes, created. It’s called “#2 (Pencil Shavings)”. That’s right — a pencil-scented perfume. Where do I even begin? First, wow. 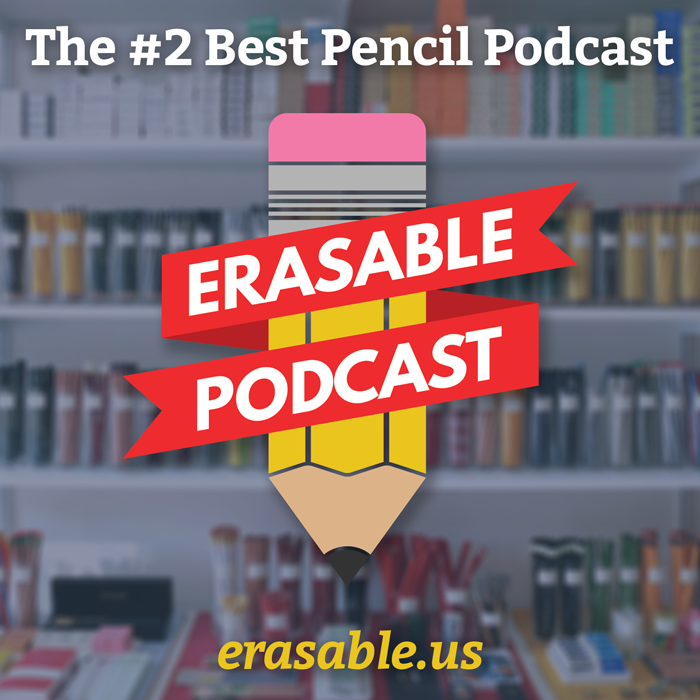 This is right up there with the pencil/wine pairings that David Rees put in his book, How to Sharpen Pencils (when we interviewed him on Episode 15 of Erasable, he told us that was completely legit — a friend who owned a wine shop sat down with him and helped develop that section!). After receiving a cool little package in the mail, I opened it and found some goodies from Mica. The scent came in one of those little glass vials they pass out of perfume at a department store cosmetics counter. Right after unpopping the cap, the smell was too intense to really discern any particularly woody scent. It smelled really odd — bitter, maybe, and slightly unpleasant. After applying to my skin, or to cloth, the intensity of the scent stayed for a few more seconds, and then it fades into something a bit more familiar. As Johnny described it on the most recent episode of the podcast, it smells more like red cedar than incense cedar; more of an old fashioned pencil. I’d have to agree, though I don’t think my experience with cedar is as rich as his. I feel like, though, there’s a touch of something else in it. Something more sharp or mineral-y. Graphite, maybe? After all, that’s present in the pencil shavings too. It’s not unpleasant at all — it smells a bit like being in grade school and emptying the container of shavings from the old Boston crank sharpener on the wall into the trash can. Dawn says that the scent will be available as both a wearable essence and as an ambient scent in, say, a reed diffuser. I can defintiely see the latter being more popular than the former — retired elementary teachers, maybe, could scent their living room if they miss the atmosphere of their classroom. I’d like to thank Mica and Dawn for this really interesting experience! And, of course, I’ll update this post with a link as soon as it is available for purchase in a couple weeks. In the meantime, check out the rest of Dawn’s scents on her website, DSH Perfumes.